Firefighters don't actually fight that many fires these days. It's time to re-think how we deliver costly emergency services. 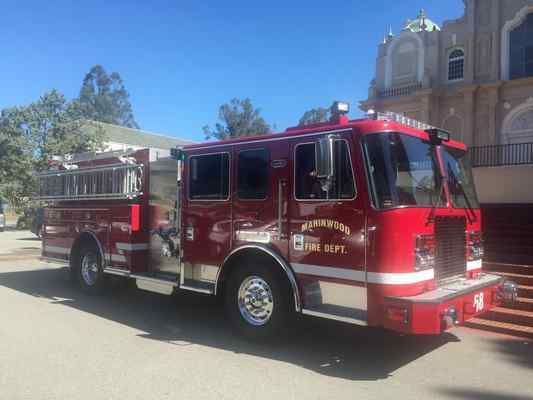 Editor's Note: This is especially true with Marinwood Fire Department that makes 2/3 of its calls in neighboring San Rafael WITHOUT compensation. In 2012, the city of Toronto, over the Fire Department’s objections, changed protocols to deploy ambulances (from a separate government unit) instead of EMT-staffed fire trucks for more than 50 types of medical emergencies. The next year, after city staff recommended a budget that would close four fire stations and cut 84 firefighting jobs--while adding 56 paramedics--firefighter-funded TV ads alleged that the cuts would "put lives at risk." NOTE: This column has been revised to clarify the changes in Toronto's emergency-response protocols and the response by the city's firefighters.